As IT administrators expand their infrastructures, they face a recurring question: do blade servers or rack servers deliver the best value? 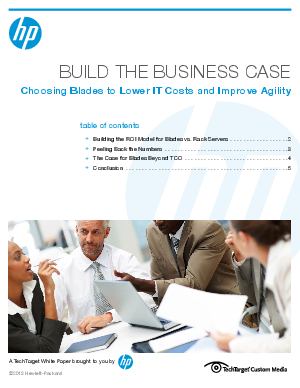 This white paper covers all the factors that comprise an ROI model for comparing blades to rack servers, including power usage, cabling, software licensing and maintenance. Don't miss this opportunity to learn how blades can save up to 50% of TCO over a three year period and why blade servers make economic sense in most use cases.